Maple syrup is often mentioned in the same breath as honey as a “natural sweetener,” implying that it’s a better choice than refined sugar. People who understand that “natural” doesn’t mean “good” get more specific: it’s nutrient-dense than table sugar and rich in antioxidants, which sugar doesn’t contain. The killjoy truth here is that “natural” sugar is sugar like any other sugar: fructose doesn’t magically become healthy because it’s “natural.” The best approach to any kind of sugar is to eat it in small amounts as an occasional treat, not as a regular part of your diet. It’s true that maple syrup has more nutrients than refined cane sugar (not a terribly high bar to clear) and that it has some antioxidants, but these both come in relatively small amounts relative to its sugar content, and there’s nothing in maple syrup that you can’t also get from other sources. If you’re looking for a Paleo-friendly sweetener, maple syrup is far from your worst choice, and there’s nothing wrong with it in appropriate amounts, but don’t confuse it for a healthy staple. Maple syrup starts its life as sap from maple trees; then it’s concentrated into a sweet syrup by boiling it and letting the water evaporate. Because it’s relatively “unprocessed” and “natural,” it’s often claimed to have a higher nutrient content than table sugar – which is true, but less impressive when you look at the actual numbers. 1 tablespoon (20 grams) of maple syrup has 52 calories, almost all of which comes from sugar (around 12 grams of sugar). Maple syrup has a lower glycemic index than table sugar, but that doesn’t actually mean much in context: glycemic index isn’t a very useful way of determining whether a food is healthy or not, and it doesn’t matter much if you’re eating the food as part of a mixed meal. Since you probably (hopefully!) aren’t sitting around guzzling tablespoons of maple syrup straight from the bottle, don’t sweat the glycemic index. 1% of the Daily Value of calcium, iron, magnesium, potassium, and copper. 6% of the Daily Value of zinc. 33% of the Daily Value of manganese. The manganese is a nice-to-have in the context of Paleo because there aren’t a huge number of other Paleo-friendly sources. You can get it from other sources including beef liver, nuts, mussels, and spinach, but maple syrup is a nice additional source if you like it. Other than the manganese, though, there’s not much here that you couldn’t get somewhere else: it might be technically “more nutrient-dense” than sugar, but it’s not going to win any nutrition contests any time soon. 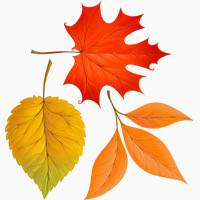 Like most other plant foods, maple syrup also contains a huge variety of phenols with antioxidant activity, but it’s not clear what effects most of these chemicals actually have in humans in whole-foods doses (as opposed to being squirted on cells from a test tube or used as an antimicrobial in a concentrated extract – these uses don’t prove that maple syrup as poured on your pancakes has any anti-cancer or antimicrobial benefits in humans). The bottom line: it’s better than table sugar, but not by all that much, and it’s far from the most nutrient-dense thing you could be eating. As a treat, there’s nothing wrong with it, but it doesn’t clear the bar for Paleo staple foods. Need some recipe inspiration? 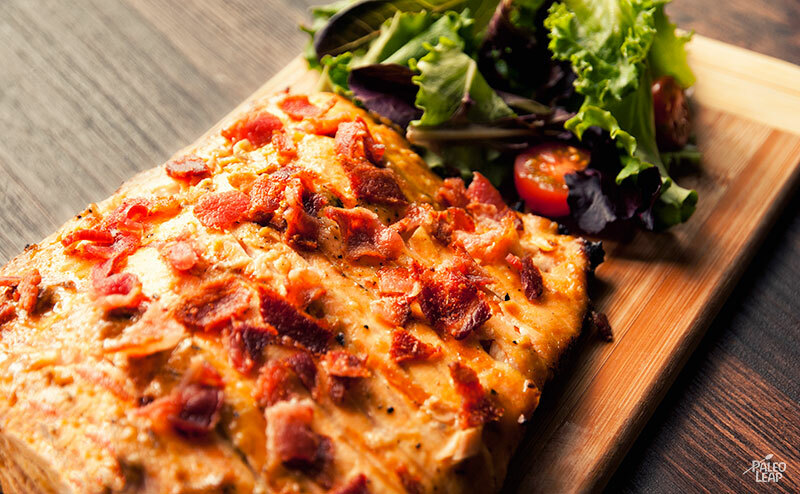 Maple syrup is delicious on salmon with bacon and dijon mustard! If you’re choosing to eat maple syrup, you want to actually eat maple syrup, not high-fructose corn syrup with caramel color. Here’s how to get the real stuff. Most importantly, don’t even look twice at any jar labeled “maple-flavored syrup.” “Maple-flavored” is nothing but a euphemism for “corn syrup and water with some food coloring mixed in.” The same goes for “pancake syrup,” “table syrup,” “breakfast syrup,” or anything along those lines – they might have pictures of log cabins and trees on the bottle, but they’re not what you’re after. Maple syrup is a common target of food fraud, so even bottles labeled “maple syrup” might not actually be legitimate. The safest way to buy it is to go local from a producer you can trust – if you don’t live in maple-syrup producing area, many smaller producers offer online ordering. Processing Grade. This grade of syrup isn’t pretty or uniform enough to meet the Grade A standards, but there’s nothing else wrong with it, so it’s approved for use in food manufacturing. You probably won’t be buying Processing Grade maple syrup in stores, because it’s illegal to sell it in containers smaller than 5 gallons. Substandard grade. This grade isn’t even good enough to be Processing Grade. You almost certainly don’t want to eat it even if you could get it, which is unlikely. The new system officially went into effect in early 2015, but manufacturers in some states have a 1-year grace period to change their labels, so you might still be seeing other grades until January 1, 2016. The darker the syrup, the more concentrated it is: darker grades contain more sugar, also have more flavor per tablespoon, so you need to use less of them to get the same flavor effect. They also have more of the nutrients and antioxidants per tablespoon, but again, you’ll probably be using a smaller total amount. Maple syrup is delicious and for most people it’s a perfectly harmless thing to have as a treat occasionally. If you like the flavor, it’s great on salmon or pork, in salad dressings – or yes, on Paleo pancakes. That doesn’t make it a health food that you should make a special effort to eat, or even something that it’s healthy to have at breakfast every day. It has some nutrients, but nothing you couldn’t get from a source much lower in sugar; the only real reason to eat is that you like the taste.